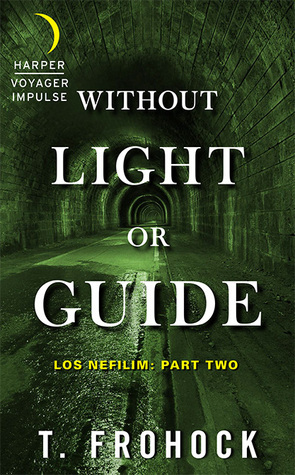 See my review of In Midnight’s Silence (Los Nefilm #1) here. Diago puts a lot of pressure on himself. He wants to prove his loyalty to the Nefilm, his love to Miquel, his dedication to raising his son Rafael, and it sometimes feels a bit much. Give yourself a break, man. You’re doing the best you can! The pressure he puts on himself is the nature of his character, in addition to loyalty; as is kindness for Miquel, trust from Guillermo, and unconditional love from Rafael. All of these characters possess strong qualities, which influence their decisions in unexpected ways. I was almost waiting for Miquel to break up with Diago. But Miquel is such a loyal companion that readers can’t trust Diago’s paranoia and anxiety during much of the story with his thoughts getting in the way. As Frohock described via twitter this weekend, their relationship is unbreakable. At each step of the plot, I feel like there’s so much that is going on. So many twists and turns were packed into this novella! Prieto and Muloch still play a role; Alvaro, Diego’s father is a temptation for Diago; the other diamon who is trying to hunt both Diago and Rafael, Lamashtu, and also Garcia, from Los Nefilm, is a suspicious character, one who is seen conversing with a German-speaking angel. There are so many characters in Diago’s orbit, it’s hard to trust anyone. It’s a constant battle in Diago’s mind about what the repercussions of such trust and loyalty. Since the events of this novella take place before WWII, I wonder how much readers will see of the war in the third novella, the build up of something big is coming! The last book in the series, The Second Death (a phrase eluded to in this novella), was published March 29, 2016. My next read!